Last week on my recipe experiment day, I finally tried something I have been thinking about for years. My mother, Nona always speaks of how her mother could open up the Masa, or dough for boyos until it was transparent and paper thin. Once the dough was opened, she would add the filling, then roll it, coil it, sprinkle it with cheese, and bake it. 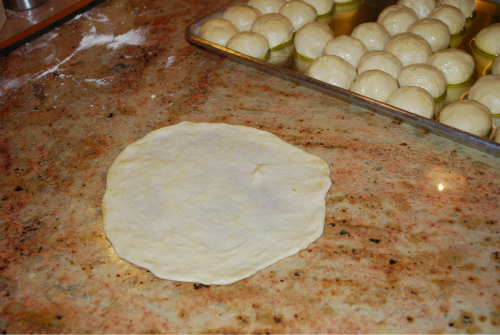 There is a Ladino web site called Savores de Siempre where I found a recipe for the masa. It is very easy and to my surprise it is not yeast dough like the one Nona uses when she makes bulemas, which I have posted on this site previously. No matter what you call them boyos, boyus, or boyuz they are delicious. 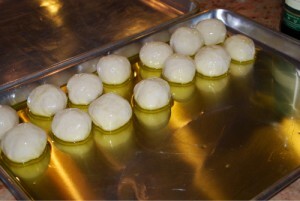 You can use other fillings if you like, on the Savores de Siempre site she calls for potato and cheese filling. Thank you to Savores de Siempre for the wonderful Ladino and recipe! This is my version of the measurements and instructions from the web site. For the masa, combine the liquid ingredients and the salt. 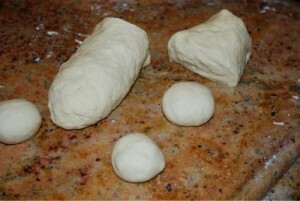 Add the flour and knead the dough until it is smooth and elastic. Break the dough into approximately 14 walnut size pieces. Roll each piece until smooth and round. Add the remaining 1/3 cup of olive oil to a baking sheet with 1 inch sides. Set the little dough balls in the oil and leave them to rest for about one hour. 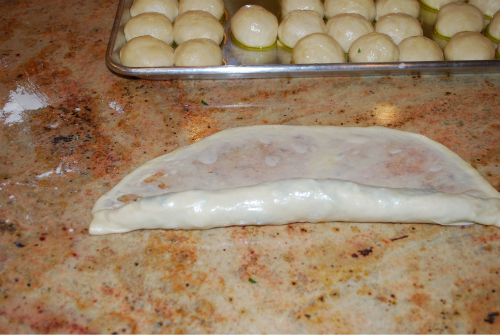 While the dough rests, prepare the filling. Use a very sharp knife to chop the spinach. Place the spinach in a bowl. Crumble the feta over the spinach. 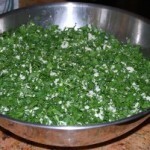 Add the grated cheeses to the bowl and lightly toss the spinach to mix in the cheese. 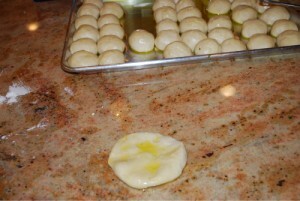 When the dough has rested, turn the balls around in the oil of the baking sheet to coat them. Place a ball of dough on a granite counter or marble stone piece or chopping board. Flatten the ball and then pick it up and begin to stretch the edges with your fingers very gently. 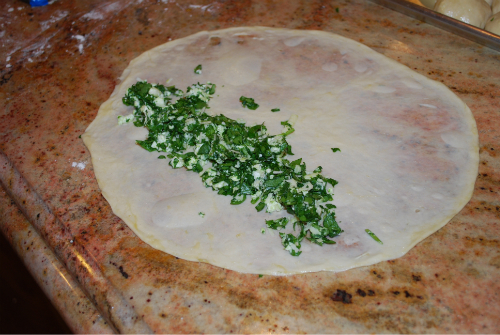 After it becomes a flat piece, about 6 inches around set it back on the counter and slip you finger tips underneath to gently coax the dough out to about a 10-12 inch square. Place some filling across one end leaving a 1 inch border. 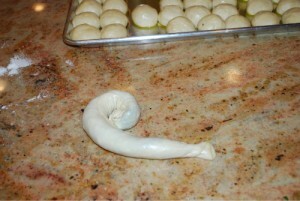 Roll up the dough like a cigar. Then coil the cigar and place on a greased baking sheet. 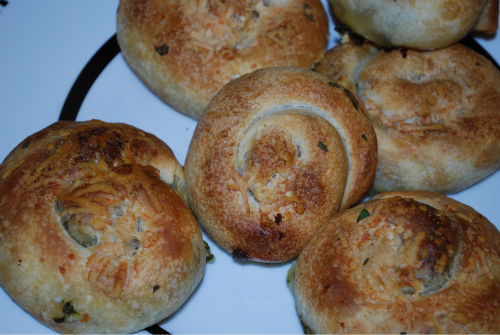 After forming all of them, sprinkle them with a little Parmesan cheese and bake for 30 minutes in a preheated 350º oven or until golden brown. Remove the boyos from the baking sheet with a spatula, some cheese may have oozed out, don’t worry that is the good part, and place on a cooling rack. Enjoy with coffee, Turkish coffee or espresso is best, for breakfast with some fruit. Have to give them a try. 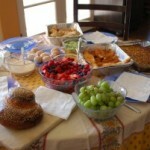 Thanks so much for your research and your time to share photos and recipes for all your goodies. Your website is the best cookbook I own. If these taste even a fraction as delicious as the cheese and spinach borekas I made two months back (following your excellent recipe), then I’m sure to wow my friends next week at a summer dinner party/BBQ a good friend of mine has not only invited me to, but asked me to help with the munchies/buffet table. They’ve already raved about the biscotios and of course, the borekas (not to mention my tomato and herb bread, my chocolate banana muffins and my tropical orange cake, LOL), but I think these will be a sure-fire crowd pleaser, which brings me such joy. Thanks for sharing the recipe. I guess this is where my nuna got the ‘alternate’ word for her borekas (she called them bourekyas), when she sometimes referred to them as ‘boyikos’ (she pronounced it as ‘bee-yee-koos’). Forgive me….I think I’ve rambled on about this same subject once (or twice, possibly three times!) before. Oh, and I also found out some great information about those cookies (the biscotio de huevos) my nuna in Ioannina made – the ‘kloothya,’ as she called them. 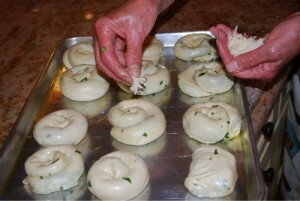 I got it from this truly wonderful Greek cooking blog that I found recently. If you’re interested/curious (this goes for anyone else who might be interested too, of course), I’ll tell you about it, next time I write in. 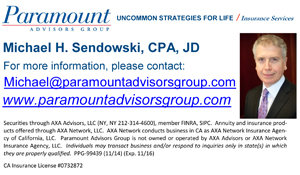 Keep up the wonderful work on this great blog, Linda, and have a lovely weekend. OMG, these are so delicious, at least in my memory, and now in your beautiful photos. The thing that I remember the most is how much oil there was on my Mom’s hands, they glistened, and everything was beautiful. Your blog is beautiful. Dear Bev, I remember your mom and we all miss her. Please give these a try. Awww…I’m chuffed that you enjoy reading about my beloved nuna. If she were alive today, I think she’d want to start her own Sephardic/Romaniote cooking and baking blog. She had so much incredible knowledge about and passion for food and cooking. It’s just such a shame that I didn’t realise, until too late, how important it was for me to carry on the traditions via the food and her own personal history and memories of Ioannina. While I enjoyed all the foods she made when we were kids (except possibly for the kolva, which I wrote about before I think), I didn’t pay as close attention to detail or preparation as I am sure she would have liked and wished I’d done. I think that’s why I’ve been so ‘driven’ in a way, to try and find out about these very specific and particular foods (and her names for them) in any way I can. I no longer have anyone I can ask in the family about it, so it can become disheartening and frustrating, not to mention very sad to realise this. If I have ever come across as pushy or overbearing or annoying with all my many questions, I apologise. It’s out of love for not just these wonderful foods of my childhood, but out of love and in memory of my nuna, in particular. Sweet Almond Tree, written by the lovely Ana. I asked her about these pastries and cookies that my nuna made, and she very kindly, very generously and patiently did a bit of research, as well as asking her family about them, and it resulted in a post specifically about the cookies (the ‘kloothya’). Sorry…I’m rabbitting on again. I just wanted to say, once again, thank you for such a great blog, and for all the information and recipes and photos you’ve shared with us, and also to let you know about Sweet Almond Tree. Her passion for Greek food and her memories of living in Greece just make me smile for hours on end after reading her blog. One day, I hope to visit Ioannina myself, so I can experience all that I’ve only read and dreamed about, and to invoke the spirit and properly cherish the memory of my nuna and all my mother’s family. I just made Boyo’s yesterday with a few of my friends. I was just looking for fun for Sephardic recipes and found your blog. I look forward to reading it and trying out some of the recipes that you have posted. My name is Sabrina Satkin. My maiden name is Rousso and I am of Sephardic heritage. My family came from a town called Bitol or Monestir in Yugoslavia. 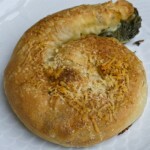 I grew up eating all the wonderful Sepharic dishes. 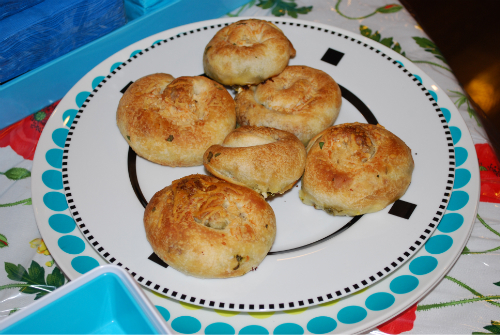 I loved the boyekos that my mom made, stretching her own dough tissue thin and filling them with Spinach and Feta, potatoes and feta and just cheese. 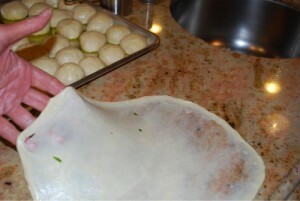 I was thrilled to find your web site and although I have made many borekas with filo, I have not been successful at stretching my own dough. My mom never used olive oil or parmesan cheese in hers, just vegetable oil, spinach, feta and famer cheese. I look forward to trying your method! Also, I have been compiling many of my mother’s recipes in a book for my family this year. I am happy to help with any recipes that your readers might be looking for. I have been searching for anyone who might remember a dish that my mom made when I was very young, that involved her drying lamb riblets and serving them in some kind of vinegar preparation. Has anyone any idea of what I am refering to? I look forward to visiting this blog often. I am passionate about cooking and refuse to allow these wonderful recipes to die. Thank you for your contribution. Hi Sabrina, I grew up in Seattle, we had many Roussos in our community, but they were Rhodoslis (from the Island of Rhodos). I asked my auntie Esther the other day and she said she remembered a family named Calderon from Monestir. I would love to have you share some of your family recipes with me. Perhaps you could send me an email to my address at linda@theglobaljewishkitchen.com. I would love to kitchen test them. I don’t recall any dried lamb riblets, but I do recall just roasting the lamb riblets and mopping up the drippings with a piece of home made rosca or challah. I would love to talk to you and I am so glad you have contacted me. Regards, Linda PS, maybe one of the other readers would share their recipe for lamb riblets. 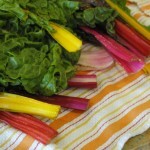 So happy to have found your blog, and recipes like this one! I, too, am from Seattle (though live near Philadelphia now) and had a grandmother from Turkey and grandfather from Rhodes (Benveniste). My aunt Jeanne Benveniste married Bill Capeloto — any relation?? For the past few years I have been trying to catalog and/or recreate all of the Sephardic recipes I remember from my youth — borekas, “fillas” (phyllo triangles with potato/cheese filling), pastilicos, stuffed tomatoes, etc. I have a food blog and have posted a couple of Sephardic recipes that I make regularly: Auntie Jo’s Spinach Frittata and Fideyos. I always loved these boyus but couldn’t find any recipes! Can’t wait to give them a try. Thanks and happy new year!